If you’re tying the knot this summer or helping to decorate for a friend or loved one’s wedding, there are a few July wedding trends you may want to keep in mind. July offers a myriad of bright and beautiful flowers that thrive in summer. 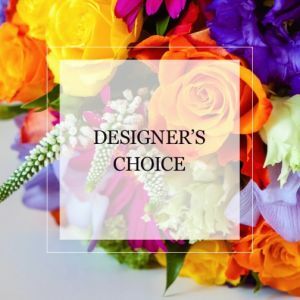 Purchasing the décor you need at Karen’s Flower Shop allows you to get expert help to pair blooms and accent flowers together to help you create stunning bouquets and centerpieces for the summer. Bright hues are popular this season and are often coupled with a more subdued colour. Shades of pink and orange are on trend this July, so blooms, such as tulips and zinnias, are ideal for your table decorations and the bouquets that the bride and bridesmaids will carry. Both blooms are appropriate for weddings since zinnias are a sign of endurance and tulips symbolize prosperity and lasting love. These flowers also have eye-catching colour and look great against subtle shades, such as off-white and cream. You can also pair these bright shades with metallic colours. Since pink and orange are both warm colours, they look great with gold. However, orange pairs nicely with light and medium bronze shades, and pink and rose gold are a beautiful combination. Garden-themed weddings are all the rage this summer as well. You can choose flowers that have special significance for you, such as daisies or marigolds if these remind you of the blooms that were in your yard as a child. Or, you can choose flowers that have sentimental value to you and your spouse. For instance, if orchids were part of the first bouquet you ever received from your loved one or you’ll be visiting Hawaii for your honeymoon and want to give a nod to this romantic location, including orchids in your décor is a good idea. You’ll also be on trend with the bright colour decorating option for the season since all these flowers are available in pronounced shades of orange, pink or purple. You can also choose white marigolds and lilies for your wedding and pair these with additional décor (table liners, ribbons, and balloons) in neon or bright shades of blue or pink to make your summer wedding especially beautiful. Contact Karen’s Flower Shop to help you find the floral arrangements that are best for your décor with sample bouquets and combinations. This will give you the opportunity to mix and match as you customize your floral arrangements and make the décor for your wedding one of a kind. You’ll also get details on the right accents to add to your floral arrangements, such as silk ribbons to tie around the vases used to decorate the tables, or small pieces of lace or burlap to gather the flowers used for the bridesmaids’ bouquets. These finishing touches will help to make your wedding one of a kind.